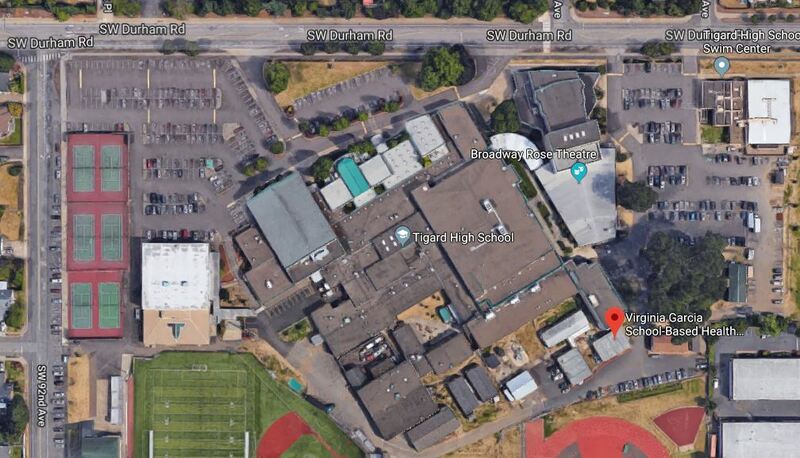 The Tigard School-Based Health Center is located on the Tigard High School Campus in a one story building near the turf soccer fields. You can access the clinic through the swim center parking lot. If your child is between the age of 0-21 and lives in the Tigard/Tualatin or Sherwood school district they are welcome to utilize the clinic. The clinic is closed from 12pm -12:30pm for lunch. The Tigard School-Based Health Center does NOT follow the school district open and closure schedule. Please check our website if you have an appointment or want to contact us on a day the schools are closed. The clinic is open during the summer. Summer hours will be posted before the end of the school year. Dental services are provided one day/week at the clinic. Contact the clinic to schedule and appointment.